One larger item in my 101 list was to visit a new foreign country. That country was Haiti. I’m going to do a number of posts about the trip because there is so much to share – though I will still not be able to convey the full awesomeness of the trip. But I will try. This post will be about Haiti in general. Right off the bat I can say that could I do things differently, I would have looked at the language more – Creole – and learned more words……..or some words (let’s be honest, I didn’t have much time to think about the trip until we were at the airport…). We arrived on Saturday, mid-afternoon. 2.5 years post earthquake. The airport is still being repaired and rebuilt. It was slightly chaotic getting through customs, finding our checked bags of donations. Walking outside into the thick heat, breathing in the first smells of a new place (after all, you should use all senses when experiencing something new). Make it to the van, already sweating, and start driving. There are so many cars. There are no traffic lights, no stop signs, seemingly no traffic laws, and lots of working horns. Definitely an experience. Maybe I was completely wrong and ignorant in this expectation, but I expected to still see lots of collapsed buildings, ruble, etc. But that was not the case at all. 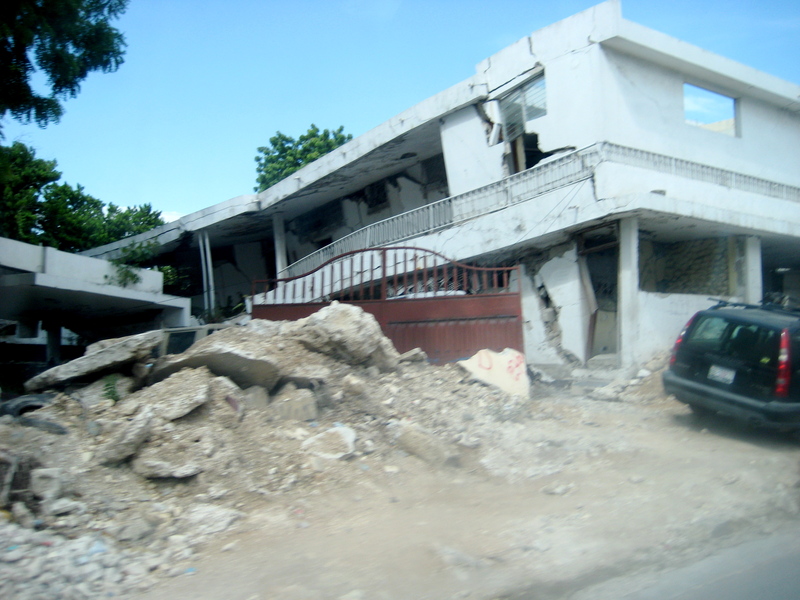 Although there are security fences around pretty much every property, with the exception of a few collapsed buildings we saw, it appeared that condemned buildings had been torn down and many buildings had been rebuilt. I probably expected this because after two mission trips to New Orleans, there are still many areas that have not been touched since it flooded. 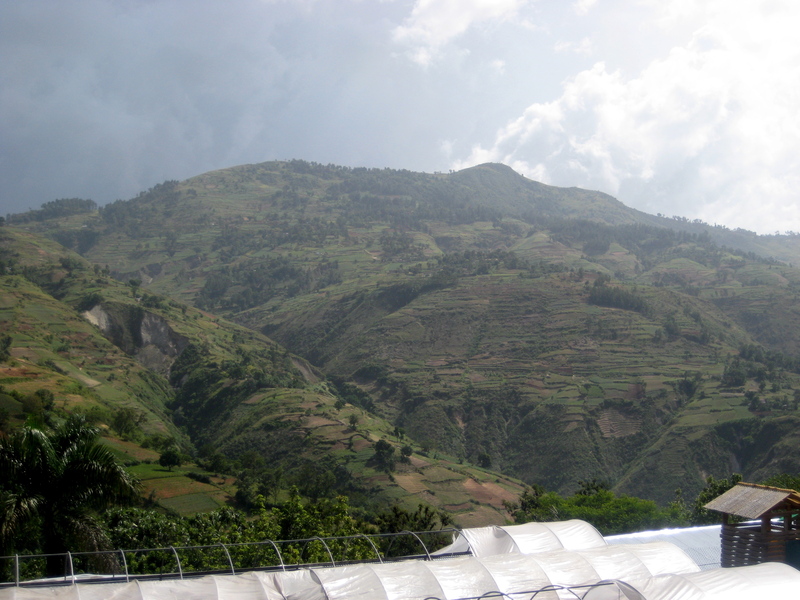 The landscape of Haiti was very interesting. There were areas, especially driving up the mountain, that were green, but I would not say they were lush. They were kind of green, but bare….?? Apparently there is a lot of deforestation in the country as there is a high need for firewood. Don’t get me wrong, there were still trees around, just not a ton. It was still a beautiful country – very full of life and energy, people everywhere. It was just a different beautiful than say the Grand Canyon or Redwood Forest. Not once did I feel unsafe or uncomfortable during the week. There were a couple instances when we were stopped in traffic in the van and had a person ask for money at the window – but never were they scary or aggressive or inappropriate. In general, people were friendly wherever we went (of course, the actual groups we stayed with and visited were exceptional and amazing – more to come on those). The whole trip was amazing. There is way too much to put into one post, so there will be multiple. And I’ll try to get them done quickly! 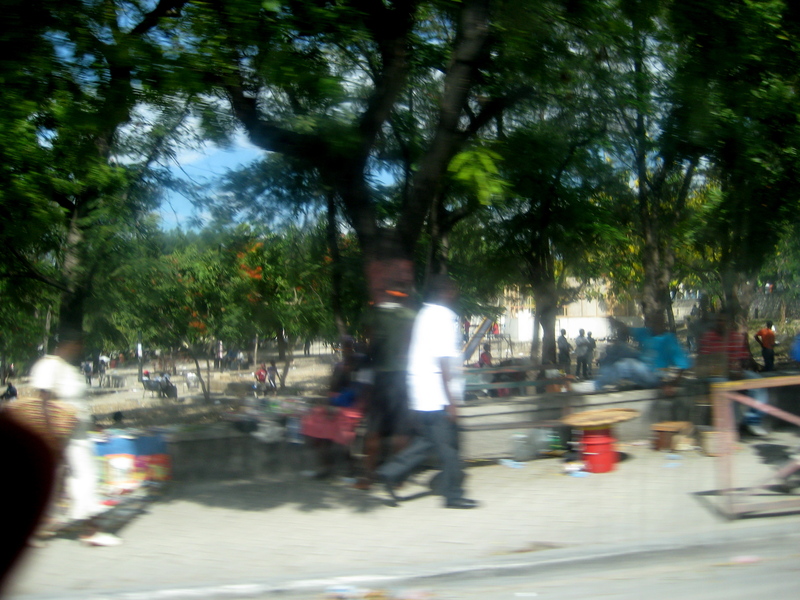 Categories: Merry Monday | Tags: 101 in 1001, Haiti, travel | Permalink.